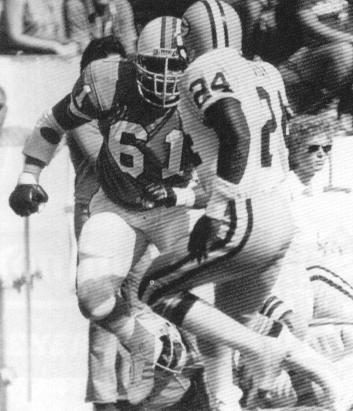 Dewey Selmon has already been selected as the best No.58 in Buccaneer history which would make it tough for him to earn another such accolade from his original number of 61 that we wore in the early days of the franchise, having originally been drafted as a defensive lineman. 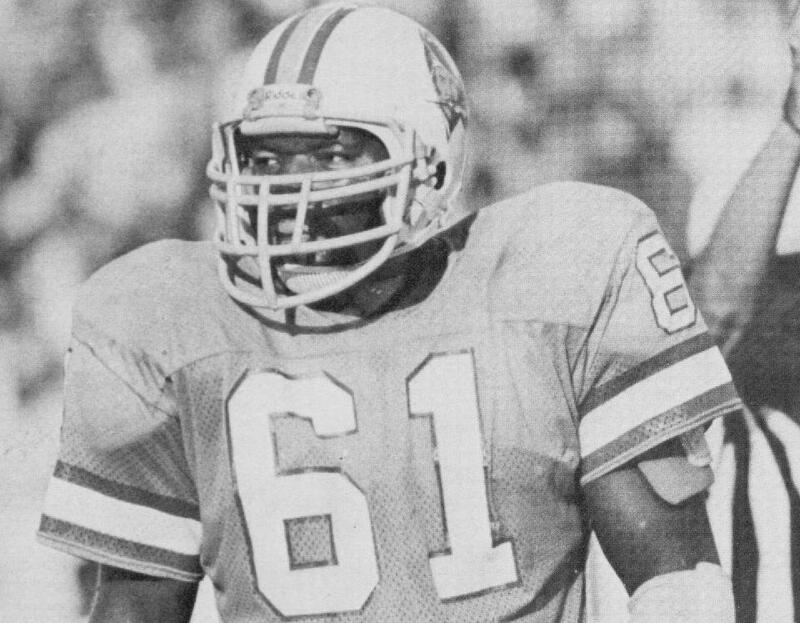 Greg Roberts was a former first round pick who started on the 1979 team as a rookie but never really lived up to his draft billing, and was followed in the 61 jersey by three real no-names from franchise history. And then along came Tony Mayberry. 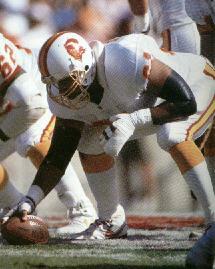 He started his first NFL game in Detroit in 1990 when Randy Grimes was hurt, and became the regular starting center in 1992 keeping the job for the rest of the decade. 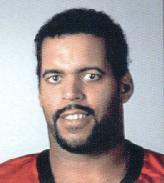 The emergence of the Buccaneers as an NFL force in the late 90s made a lot of Buc players become Pro Bowlers including Mayberry. 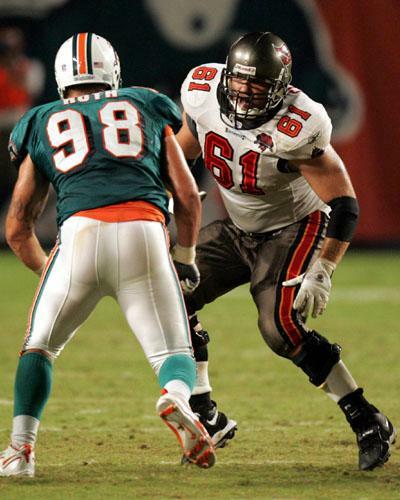 Of the more recent wearers, Chris Colmer's career was blighted by injury and he never actually played a down for the Bucs before sadly passing away in 2011 at a very early age. 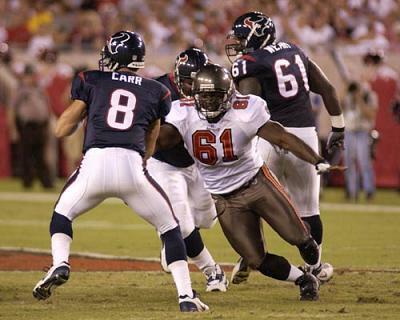 Jonathan Compas spent most of 2009 watching plays from the sideline and Will Barker was nothing more than a back-up during his time on the roster in the 2010 season. Josh Allen was on the roster for three seasons but only saw action in four games and Leonard Wester took over the number in 2018.